Eamon Gilmore speaks to the media today after meeting with the Irish ambassador to Mauritius, Brendan McMahon. THE GOVERNMENT of Mauritius has condemned the publication of photographs showing the remains of Michaela McAreavey following her death in a hotel on the island 18 months ago. In a statement issued this evening, the office of the prime minister Navin Ramgoolam said the “outrageous” publication of the photographs – which appeared in yesterday’s edition of the Mauritius Sunday Times – was “one of the most despicable methods of abuse”. The statement – published on the website of Mauritian newspaper Le Defi Plus – said the photographs showed “an utter lack of respect for, and a reckless infliction of further hardship on, the bereaved families”. It slammed “some isolated and unscrupulous individuals in the media” for conspiring to have the photographs published “for the sake of an irresponsible sense of sensationalism”. Their actions, the statement said, had served only “to harm the image of our country and that of its law abiding citizens”, and had undermined the efforts of the authorities to bring Michaela’s killers to justice. 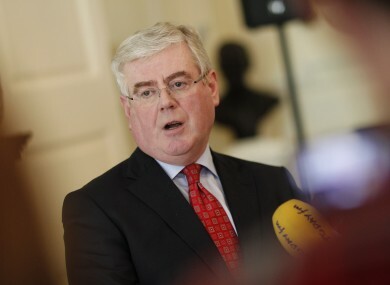 The statement followed a meeting between Tánaiste Eamon Gilmore and Ireland’s ambassador to Mauritius, Brendan McMahon. McMahon was summoned to meet Gilmore, in his capacity as Minister for Foreign Affairs, yesterday when details of the photographs reached Ireland. The Irish government has condemned the publication of the pictures, with McMahon being summoned to receive a message of protest which will now be delivered in person to Gilmore’s Mauritian counterpart Arvin Boolell. Email “Mauritian government condemns "outrageous" photos of Michaela crime scene”. Feedback on “Mauritian government condemns "outrageous" photos of Michaela crime scene”.